The birth of a Canadian whisky enthusiast! 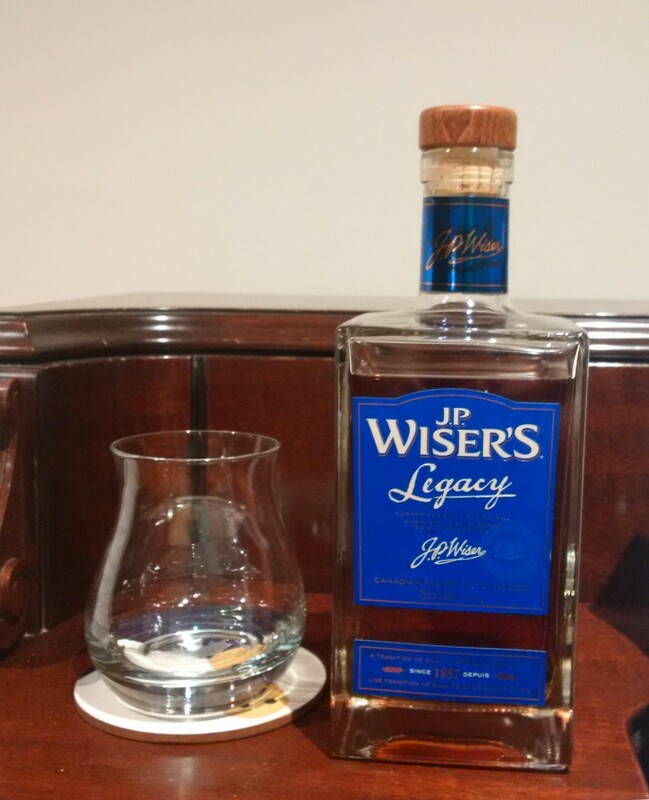 J.P Wiser's Legacy Last Bottle in the City! "... Hiram Walker (Wiser’s, Corby etc…)..."
I can't follow it all. I dislike the "branding" element on principle and I find it all just too overwhelming to even attempt to sort through. To know what's what, you have to figure out which ones are made by the same people, and then figure out what distinguishes one brand from another within the same house? Get outta here. On this scale, I s'pose Ireland is somewhere in between. Of course, the other problem with Canadian whisky is that it all tastes like maple. Maple and beaver. Right, @Robert99? @MadSingleMalt I see you know a lot about Canada. But you forgot to acknowledge that Corby's and Wiser's each distill their product in separate igloos while chewing on seal meat. For crying out loud, Diageo owns a gazillion distilleries and even the Islay stuff you have wet dreams over is matured somewhere on the mainland. Like many other spirits companies, these have amalgamated or have been bought out over the years. What's important is how the stuff is made and how it's matured, and how it's presented, just like Scotch, Bourbon, or cachaca. Is the stuff good? Is it consistent? Is it worth spending $50 for? @SKEPTIC , are you telling me I'm wrong? I very well could be. That's why I asked if I was right—if the Canadian whisky landscape is similar to what seems like the case with the major bourbon distilleries: A few big distilleries producing many different brands. Or are you telling me in your delightful way that you disagree with my opinion about that landscape? I don't think we have to force a competition between different styles of whisky. Sure, different people have their preferences and they ARE competing for our dollars, but just like my son learned he could love his dad without loving his mother any less, we can appreciate quality when we see it, even if it's not in our wheelhouse. @MadSingleMalt The Canadian distilleries are mostly owned by the same multi-nationals that own the Scotch whisky distilleries. @BlueNote, I'm not sure how we got on the subject of which companies own these distilleries. I'm talking about the distilleries producing a bunch of different brands. @Nozinan, I'm not sure I follow you. Are you saying that the existence of some brands in Scottish single malts undercuts my point about Canadian whisky (and bourbon) being a multitude of different brands produced by a few big distilleries? Again, if I'm wrong about that being the landscape of Canadian whisky, please correct me. It seems to be the case, and a minute spent Googling the topic didn't clarify things for me one way or the other. I need to get over my prejudices against Irish, American and Canadian whisk(e)ys. I am kind of stuck on Scotch whisky and never seem to consider buying anything else. I have around 65 bottles of Scotch, 2 bottle of Irish (Redbreast 12, Writers' Tears), one bottle of Bourbon (Buffalo Trace) and 3 bottles of Canadian (Crown Royal Reserve, Pendleton 1910, and Wiser's Legacy all of which my brother in law bought on various visits from Oregon and left half full). I am going to open the Legacy tonight and see if it can open my mind. (They say as you get older your waistline gets wider and your mind gets narrower). @BlueNote , well I suppose we can certainly have our prejudices—and let's get into that too if you want. But I'm still just hoping someone will answer me about the brands. It all just seems like opaque mess to sort through. Like with bourbon. (I just Googled this to get an example.) Jim Beam is Jim Beam. But Old Grand-Dad is also Jim Beam. And Booker's is also Jim Beam. And Basil Hayden is also Jim Beam. And I'm guessing there are more. Get outta here. I suppose there's a system and it makes sense to the folks who follow it, but it seems like a mess to me. The SMWS bottles bourbon and Canadian whiskies under their single distillery designation, don't they? (Even though it's a number standing in for the distillery name.) I like that a lot better. @MadSingleMalt I see what you mean. @Nozinan Yeah, these comment sections just go their own way sometimes. As for the review, it was your usual thorough, thoughtful, useful and well written analysis of a worthy whisky; exactly what we have become accustomed to. And it prompted me to dig out my BIL's bottle of Legacy. @MadSingleMalt, industry consolidation during the 80's followed by mergers and acquisitions in the 90's resulted in the family trees of some distilleries to have splintered trunks and broken branches. It is no different than the evolution of American producers, but in a different era. @Nozinan_ thank you for the popular and polarizing review! The birth of a Canadian whisky enthusiast!...you were overdue. The exceedingly long gestation period nearly killed me! I'm relieved to have finally delivered the motherlode after after carrying you for years. Now_ I'm waiting for your Canadian palate to become fully developed. @paddockjudge It's not as if the boy is not trying his best. @Nozinan Only the good die young. This is an encouraging review. I have yet to open my bottle of Legacy. But these notes sound promising. I’m not all that concerned about the branding side of things. Hell, something like 90% of all Irish Whiskey is made at the Middleton distillery. What of it? Green Spot and Redbreast are still distinct whiskeys. @OdysseusUnbound , didn't you find that ... disappointing ... when you learned that about Irish whisky? I sure did. You get the impression that there are all these different kinds, but then you find out that it's all just similar—if not identical—stuff being put out by the same distillery. And then if you care enough about it to try to figure out what's what, it's a mess. @MadSingleMalt But they are all different. Who cares if they are made in the same place. Go to a restaurant you'll get meat, fish, veg, etc... all cooked in the same kitchen. The issues of consolidation and monopoly are important, but very different from taste, smell, and quality. @MadSingleMalt Disappointing? I'm not so sure. Maybe if every distillery in Scotland dropped age statements, I'd be worried or disappointed. So there is a downside, for sure. But the processes for each expression, even within a single distillery, are different. If Redbreast was made in a different building than Green Spot, would they be "more different" than they currently are? I'm not so sure. Knob Creek and Jim Beam are both Beam products, but they taste different. The flip side is that Four Roses sells their Single Barrel under one label, even though the barrels and warehouses are different, effectively making them different whiskeys, yet they bear the same name. 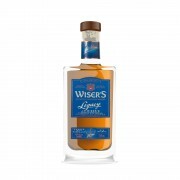 Edit: I guess the whole thing would bother me if I found out that J.P. Wiser's 18 YO and Wiser's Dissertation contained literally the same juice in the same proportions that makes up Wiser's Deluxe. If I was being sold the same juice for more money under a different label, yeah I'd be upset. But having tasted Wiser's Deluxe and Wiser's Dissertation, I'm 99.99999999999999999999999999% sure that they're quite different. @MadSingleMalt Not sure what your concern is. As @OdysseusUnbound and @Nozinan said; if all the expressions all tasted the same there would be cause for concern, but even though they come out of the same distillery they are all (or mostly) distinctly different. I gather you find this an issue with Irish, American and Canadian whisk(e)ys but not Scotch whisky. What's usual deal with bourbons, that the better barrels become X and the lesser barrels become Y? Or some deal with warehouse location? Like with my example above where OGD and Basil Hayden are both Jim Beam products named after the same guy (right? ), what's the difference? Is that difference explained on the label? What's the typical differentiator among a Canadian distillery's brands—recipe? With Irish, you do have some truly different whiskies being made at the same place thanks to Midleton's different stills and whatnot, but you also have a lot of brands that, from what I can tell, are just Jameson wannabes in a different label. I think this has gotten better over the past few years as the few major distilleries have been canceling contracts with NDPs. With Scotch, I do indeed find it clearer (and just more appealing) with the single malts from the malt distilleries, as @BlueNote suggests. But with blends, yep: an opaque mess. I just Googled this, but beyond Johnnie Walker, Diageo blends also include J&B, Bell's, Black and White, White Horse, Vat 69, Dimple Pinch, and more? @MadSingleMalt Consider the example of Buffalo Trace and all their brands. Pappy, BTAC, E.H. Taylor, etc all made at one distillery (of course, Corby's is no Buffalo Trace but the concept is the same - one distillery making different whiskies under different brands). BTW @Nozinan I had no idea you had never tried Legacy before....great stuff. @talexander Oh I've had it before, whenever @paddockjudge does his blending exercise, but this was my first bottle, and first time I've really paid such close attention. Did you guys see Ralfy's take on what's right and what's wrong with Canadian whisky? @BlueNote Not yet, but I hope to soon. @Nozinan, much of a difference between what and what? @MadSingleMalt between scotch, bourbon and Canadian vis a vis you comments. And before you exempt single malts, there ARE producers that use sourced spirit that they don't always identify. Bladnoch is one example, IBs are others. Anyway, maybe we should just stop this conversation. I prefer straightforward distillery labels like you typically get on malts from Scotland, Japan, India, France, and Taiwan over the branded presentation of most other whiskies around the world. But nobody else seems to see the point I'm making or care either way, and that's fine. Cheers to @paddockjudge for giving a substantive reply on the subject and confirming what we might have guessed about how a small number of Canadian distilleries ended up producing a large number of different brands. Carry on. Nothing more to see here. Show's over, folks. who is the "we" you refer to in your below listed quote?
" Cheers to @paddockjudge for giving a substantive reply on the subject and confirming what we might have guessed about how a small number of Canadian distilleries ended up producing a large number of different brands." @paddockjudge Kind-of like bourbon. Many names, one source? @paddockjudge, "we" was just anyone here who might've guessed the history that you summarized. That was a friendly reply to your helpful post above. Then you go and make your weird allusions to me again. Are you ever going to explain why you post this junk? I don't get it. Or @SKEPTIC, care to explain why you like it why you "like" it when he does? Or if the answer is "no," it'd be nearly as good if you'd just stop instead. Guys, @Ol_Jas was posting at the same time as Rigmorasshole, so I think it is a bit unfair to be intimating that @MadSingleMalt is that guy. So he stirs up the pot a bit, stimulates some discussion, asks a few awkward questions, what's the problem? Rigmorundum was in Oregon, @MadSingleMalt is in Wisconsin. He ain't that guy. @paddockjudge All the classified JFK files are being unsealed. Now we will know the truth, hahaha. Now, @paddockjudge and @SKEPTIC, could that really be it? Really?!?! You think I’m the same person as the guy who used to post here years ago as @Rigmarole and then as later as @Cunundrum? I mean, that possible explanation's crossed my mind, but it always just seemed so stupid and *so far-fetched—*so petty and so baseless—I figured it couldn't be possible. It is?!?! And is @Nozinan laboring under this same baseless delusion too? Yikes. He's this random internet guy you’ve been holding a grudge against all these years? And you all have enough animosity toward him to continually antagonize me? Across multiple websites? And to root each other on? And despite having the gall to antagonize me, you've never had the balls to explain why the hell you do it? Please tell me part of this explanation is my mistake. Please tell me three mature adults couldn’t all be so presumptuous, spiteful, and cowardly. Please, say it ain’t so! @MadSingleMalt i agree with you on the inherent confusion in American and Canadian whisky (vast number of BRANDS distilled in the same building). However, as you admitted, 90% of Scotch Whisky (ie blends) suffer from the same problem. In addition, a large number of Single Malts mature in warehouses nowhere near where they are distilled! Furthermore, we now have peated Balvenie/GlenDronach/etc, unpeated Caol Ila... How are those BRAND extensions much different from the branding exercises perpetrated by Bourbon and Canadian "Rye"? When I got into this "hobby" in 2010 Corby's Wiser's Legacy was the only Canadian whisky worth buying/sipping ... until the release of Lot no 40 in ~2012. Turns out this was not a coincidence since, according to scuttlebutt, one the component whiskies making up Legacy is what goes into Lot 40. Despite the problems of filtration, colour, 1/11 rule, and lack of distillery disclosure continuing, Corby's is in the forefront of (finally) giving whisky geeks what they want: high abv, age statements, sipping whiskies. ... shockingly, Canadian Club has just released a 40 year old whisky bottled at .... are you ready for it? ..... 45%!!! @65glenfarclas, of course I agree with what you have said. I also remind all not to forget that high ABV distillation prior to extreme dilution is responsible for much of the low flavour density issue with many Canadian whiskies. But I do have to say, it is only with Canadian and Irish whiskies that 45% ABV is ever referred to as "high proof". It's a relative thing, of course. If all you've had is 40%, then 45% ABV is a huge step up. And it IS a huge step up from 40%. But most connoisseurs are looking for a lot more flavour density than is delivered at 45% ABV. For a while there I got so used to drinking whisky in the 62-70% ABV range that I rejected some releases at 45% ABV that turned out to be excellent. My conditioning was that 45% ABV was "low proof". I accept 45% ABV more now, but it is still about 25% ABV below the drinking strength which I prefer. @Victor Absolutely spot on. Being a "high proof snob" probably delayed my entry into the Canadian whisky market by a year or 2. It was almost "too late". I think though, that some Canadian whiskies get more flavour into their product at 45% than a lot of single malts at the same strength. Then I met Macallan 12 and 18. @Victor I should have said "highER" rather than "high"
@Victor We all have our preferences. I find that the 48%-52% ABV is my preferred range for now This might change with time, of course. The advantage with Cask Strength releases is that we can adjust the dilution to suit our own preferences. @OdysseusUnbound I agree - Cask strength allows best flexibility. I don't think I have a preferred range. I think I add water differently to different whiskies to get the most enjoyable flavour. @65glenfarclas: "as you admitted, 90% of Scotch Whisky (ie blends) suffer from the same problem." If you'll excuse a small protest from a word nerd, I gotta object to your use of "admitted" when I never expressed any enthusiasm for the branded world of blended scotch to begin with. It's just the straightforward "Distillery X 12 Years Old" labeling like you typically see in Scottish single malts that I'm a fan of. That little bit of pedantry aside, I do see your points about some Scottish single malts being ...less "pure" maybe?... due to things like centralized warehousing and outsourced malting. I'm not sure what label to put on the continuum we're talking about, but on one end is something like Springbank 10 (or even better, Springbank 11 Local Barley) where the majority of production is done onsite and the straightforward label tells you where it came from. On the other end is something like JW Red mystery meat. In the middle would be the branded stuff cranked out of the big Canadian and American distilleries. I disagree with your point about things like peated Glendronach, though. For a distillery that sells straightforward labels to try a new style of whisky under a similar straightforward label seems very different to me than an American distillery to try a new bourbon named after their latest favorite historical figure. I think a better parallel in the world of Scottish single malts would be the "Stronachie" single malts produced by Benrinnes. Wow, 50 comments and precious little about Legacy. I had some tonight, same bottle. Getting my palate ready for the new Wiser's expressions I've ordered. So since Legacy is gone, for those of us who really liked it we now have the proportions from Dr. Don himself to blend our own. @boatracer, don't forget the 2 - 4 % of new oak barley.... and don't be afraid to split the Rye portion between Lot 40 and Wendel Clark (or Triple Barrel Rye). Wiser's 15 YO will work as well as 18 YO, just cut back the Rye by a few points. As much as I enjoy the stuff that Doc L blended for me (i.e. : put into a bottle and made available at the LCBO and most recently at Solo Liquor in Calgary), yours remains the best. @paddockjudge Hear! Hear! What @Nozinan said. I will be extremely surprised if the Master Blender Livermore's replication blend is any better, or as good, as is yours.